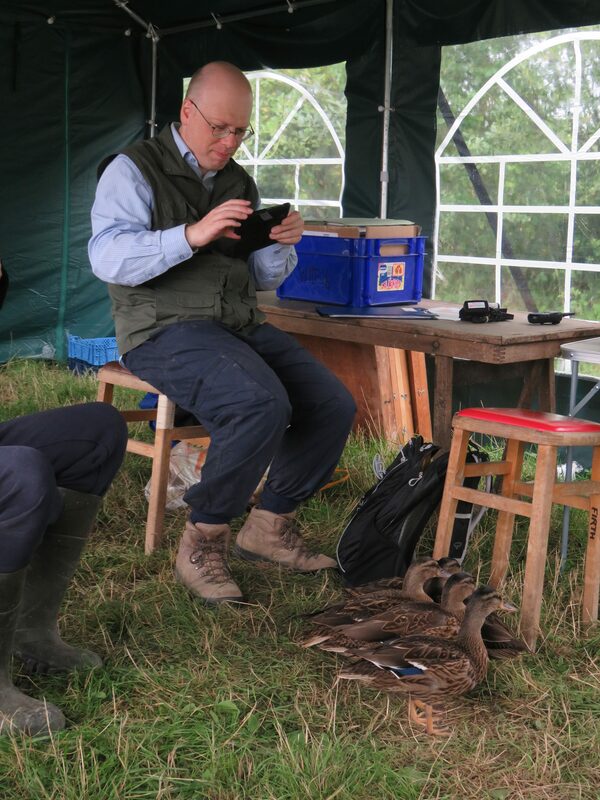 Last day before volunteer diggers arrive. 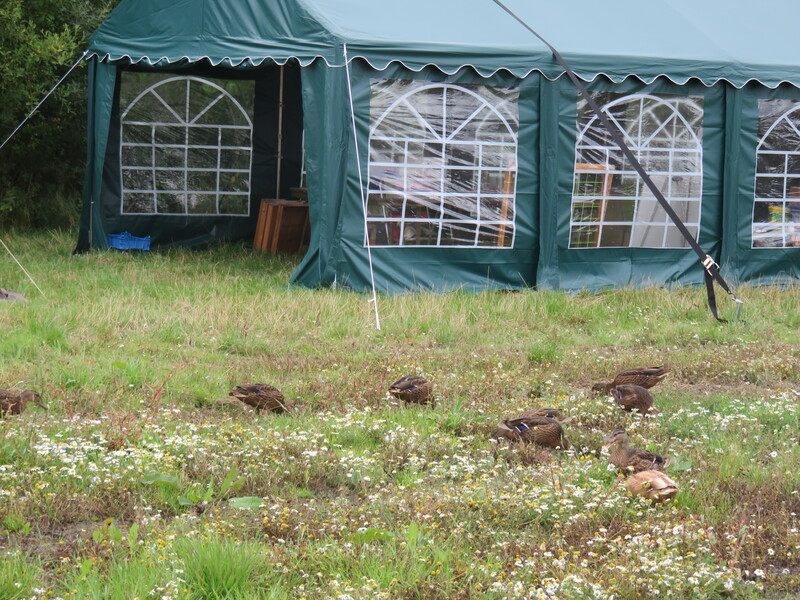 A ducky day was had by all – as 15 ducks came to view the site and tuck into any spare lunch!! 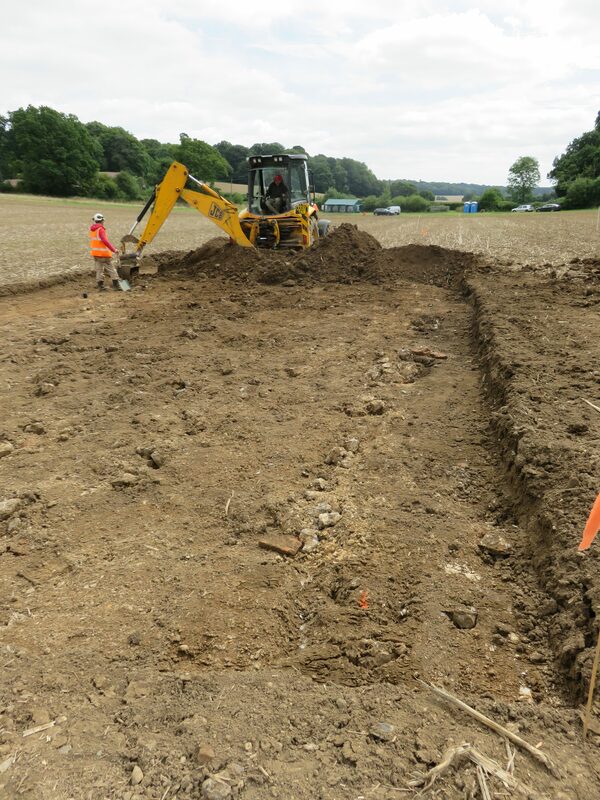 The serious picture below shows the walls of the smaller of the two buildings being uncovered by the digger.